Today marks the birthday of one of the most iconic authors in American history, Dr. Seuss. From “The Cat in the Hat” to “Green Eggs and Ham”, these children’s stories have overcome the test of time and have been read from generation to generation. 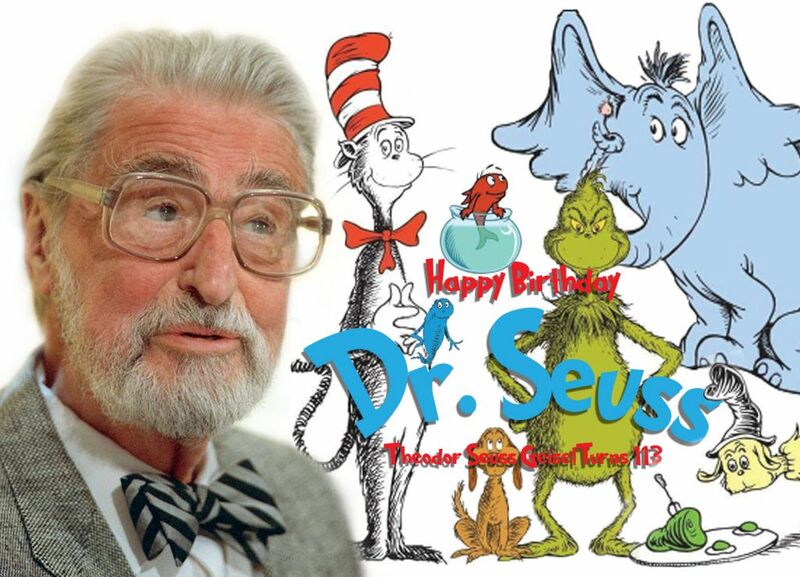 Theodor Seuss Geisel, or better known for his writer name as Dr. Seuss, was born on March 2nd, 1904 in the town of Springfield, MA. He is well known for his wacky and imaginative storybooks that have touched the hearts of millions of children and adults. In honor of what would have been Dr. Seuss’s 113th birthday, BHW would like to share these 7 Dr. Seuss inspired activities with you and your little one, with each one just as kooky and imaginative as the Cat in the Hat! Cat in the Hat: “you find magic wherever you look. sit back and relax. all you need is a book.”- Dr. Seuss in The Cat in the Hat. Become one of the most iconic animated characters with this activity by creating a Cat in the Hat mask! Not only will you turn into the Cat in the Hat, you won’t want him to leave! To create this activity Click Here! The Lorax: “Unless someone like you cares a whole awful lot, nothing is going to get better. It’s not.”-Dr. Seuss in The Lorax. Pay homage to mother earth by creating a Lorax of your own! Remember that no matter how big or tall, everyone can make a difference! To have the Lorax come to your home Click Here! The Grinch that Stole Christmas: “Then the Grinch thought of something he hadn’t before! What if Christmas, he thought, doesn’t come from a store. What if Christmas…perhaps…means a little bit more!”- Dr. Seuss in The Grinch that Stole Christmas. Your little one will have a blast reminiscing this Christmas classic! Create some Grinch inspired slime and show them how science and reading can be fun! Click Here to get instructions on this gooey activity! Green Eggs and Ham: “I do not like green eggs and ham. I do not like them, Sam-I-Am.” – Dr. Seuss in Greens Eggs and Ham. Recreate this unique meal with your child and see their eyes glow in amazement. Not only will they feel like they are part of the book but they will also get a delicious snack out of it. To start making this kooky meal of green eggs and ham Click Here. One Fish, Two Fish, Red Fish, Blue Fish: “a book is just like life and anything can change”- Dr. Seuss in One Fish, Two Fish, Red Fish, Blue Fish. Let your child discover their artsy side with this Dr. Seuss inspired activity as they make their own fish by painting their hands. The best part is that it is easy to do and your child will have a souvenir from the special day you two spent together! Click Here for instructions on how to start making your own red fish, blue fish. Horton Hears a Who: “A person’s a person, no matter how small.”-Dr. Seuss in Horton Hears a Who. Let your child become Horton with this project! They will walk around trying to “hear a who” of their own! Click Here to help your child become their inner Horton! Oh, the Places You’ll Go: “You can steer yourself any direction you choose.”- Dr. Seuss in Oh, the Places You’ll Go. Discover the world with this book and activity! Your child will let their imagination run wild with the ideas of different places and different adventures as you help them create their very own bucket list. Click Here to begin this magical adventure! BHW would like to wish Dr. Seuss a Happy Birthday and to thank him for always reminding us about the child within each of us. So, on his birthday, BHW would like to encourage you to make a wacky Dr. Seuss inspired craft and sit down and read a classic Dr. Seuss book with your child. We can assure you that the Cat in the Hat is just as funny as when you were a kid!